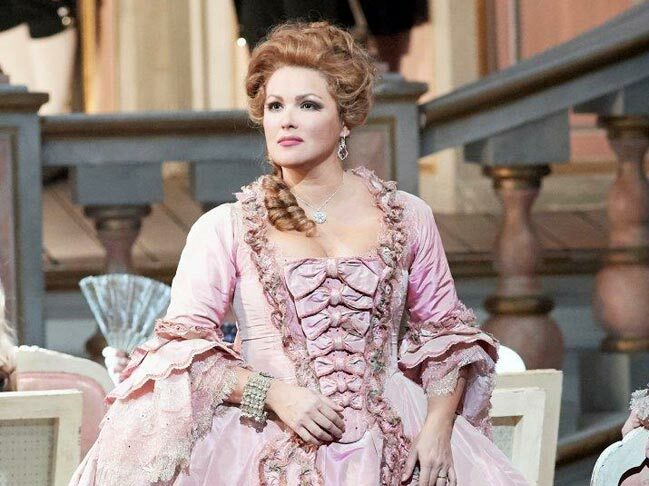 Soprano Anna Netrebko takes on for the first time at the Met the title role of the 18th century actress Adriana Lecouvreur. A co-production of the Royal Opera House, Covent Garden, London, Gran Teatre del Liceu – Barcelona, Wiener Staatsoper, San Francisco Opera and L’Opéra National de Paris conducted by Gianandrea Noseda and directed by Sir David McVicar, who ingeniously sets the action in a working replica of a Baroque theatre. The play celebrated its World Premiere in Teatro Lirico, Milan, 1902. Adriana Lecouvreur occupies a unique place in the repertory: largely dismissed by experts from its premiere to the present day yet cherished by its fans for the dramatic possibilities provided by the lead roles. The opera is a deft combination of frank emotionalism and flowing lyricism, with pseudo-historical spectacle. 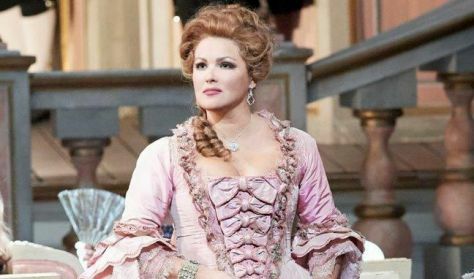 Based on a play by Eugène Scribe, the story was inspired by the real-life intrigues of famed actress Adrienne Lecouvreur and the legendary soldier—and lover—Maurice of Saxony. Cilea’s operatic retelling quickly became a favourite of charismatic soloists. The title character in particular is a quintessential diva role. “an opera about opera, about the mad magic of the theatre and the women who star in it. Francesco Cilea (1866–1950) belonged to the generation of Italian composers that produced such greats as Puccini and Mascagni. Adriana Lecouvreur was his only big success with the public. Arturo Colautti (1851–1914), who transformed a play by French dramatist Eugène Scribe (1791–1861) into a libretto, was a poet, novelist, and creator of comedies.